This year, winter in Israel was a long, drawn-out affair. After five years of drought, abundant rains fell, turning the hillsides and fields brilliant shades of green. Luckily, there are always good books to keep you company during the winter months. Listed below are some of the books I’ve read recently. I hope you will enjoy them as well! The Immortalists by Chloe Benjamin (G.P. Putnam's Sons, January 2018). How would you live your life if you knew the date of your death? This is the secret revealed in 1969 to the four young siblings of the Gold family. Simon is the youngest and he is the first to leave the family’s New York City home for the gay life of San Francisco. His departure is followed by Klara, who elects to become a Las Vegas magician. 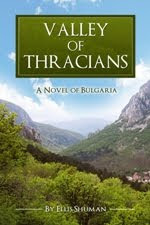 Daniel starts a career as a doctor in the American army and eldest sister Varya throws herself into the study of primates and research into longevity among human. Each of these stories is told in turn and we follow the siblings and their unfulfilled lives as they approach the date of their predetermined deaths. 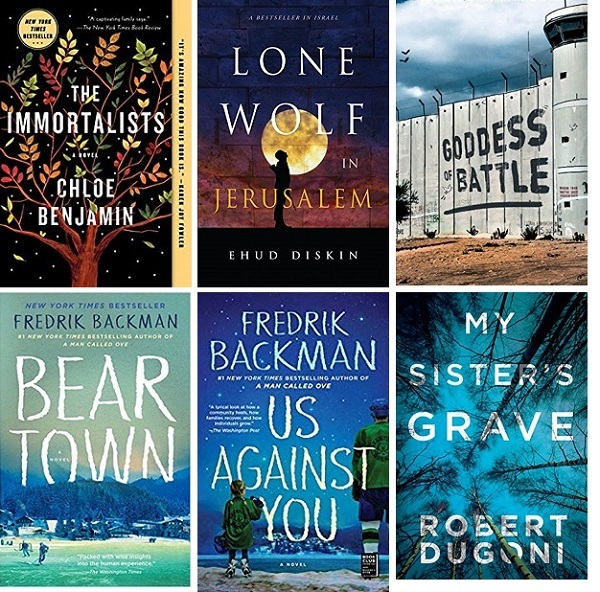 Well-developed characters and highly recommended! The main reason my vote went to Meretz in the past was its stance on the conflict with the Palestinians. Amazingly, that issue is barely mentioned in the run-up to the elections this year. Looking through an archive on my blog I found an old article I wrote explaining why I was voting for the left-wing social-democratic and green political party. Although I agree with everything I wrote back then, the arguments I made seem so out of touch with today’s reality. And the reality right now is pretty bleak. The outcome of the vote, I’m afraid, is already known. Bibi Netanyahu and his Likud party will again form a coalition with the rightwing parties. The next government will be extremist, a threat to our democratic state. Expect additional actions against Israel’s Arab minority; further concessions to the ultra-Orthodox; attacks on the justice system; and the annexation of Palestinian territories. Meretz’s platform starts with the words, “The State of Israel is a democratic country, the country of the Jewish people and all its citizens.” Meretz works tirelessly to protect civil rights and promote social justice, including the rights of women, LGBTQ, retirees, national minorities, and people with limitations. These are worthy causes and I fully support them. I stared into the thick bushes and I could hear them. Shifting their weight, pawing the earth. Grunting. I couldn’t see them in the dark, or smell them, but I could sense their presence. There were two of them and they were large, and hairy, and very wild. And they knew I was nearby. I had heard that a family of wild boars had made its home in the wilderness near my home on Moshav Neve Ilan. A shadow-filled photo depicted a late-night gathering of adults and piglets stomping around a traffic circle, sniffing at the earth. There were traces of them in my own garden – clumps of upturned dirt and hoofprints. But, for some strange reason, I never believed that they were real. My thigh muscles ache as I run up the cobblestoned ramp-like street leading to Jaffa Gate. I pass through the historic walls, breached for the visit of German Kaiser Wilhelm II in 1898. I speed past the Citadel and down the narrow alleyways of the Armenian Quarter on my way to Zion Gate. I am running in the Old City of Jerusalem! 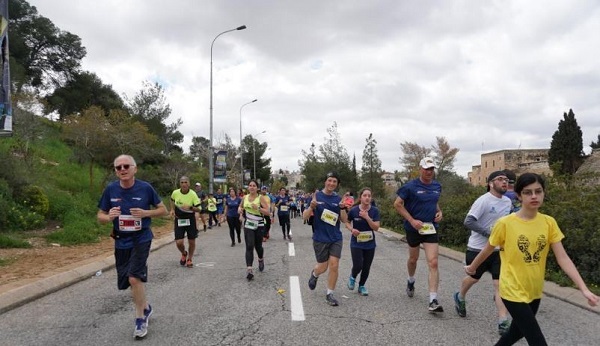 I am running the Jerusalem Marathon’s 10-kilometer race and it isn’t easy! I had challenged myself just three weeks before to run ten kilometers in the Tel Aviv Marathon. That was the first time I had ever run the distance in a real race. I have run 10 kilometers on a treadmill and on occasion I have made early morning 10-kilometer runs from my home in Moshav Neve Ilan to the entrance of the Arab village of Abu Gosh and back, but Tel Aviv was the first time I had ever competed with others. In the opening pages of her memoir, Ayelet Tsabari’s father promises that he will one day publish her book. Ayelet, ten-years-old at the time, “had been writing ever since [she] learned the alphabet.” Even at that young age, the author’s love for writing was developing into a passion that would nourish and sustain her on peripatetic travels around the world. It is during these travels that the author seeks to answer the question that never fails to accompany her - where is home? 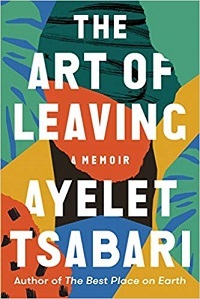 In The Art of Leaving by Ayelet Tsabari (Random House, February 2019) we witness the transformation of the author’s childhood growing up in a large Yemeni family in a Tel Aviv suburb into a collection of prize-winning short stories. 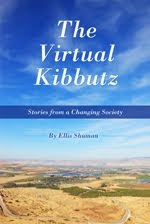 Also serving as background are her unruly service in the Israeli Defense Forces; her extended sojourns on the beaches of India and Thailand; her first marriage; and the awakening, later, of maternal instincts in Canada. 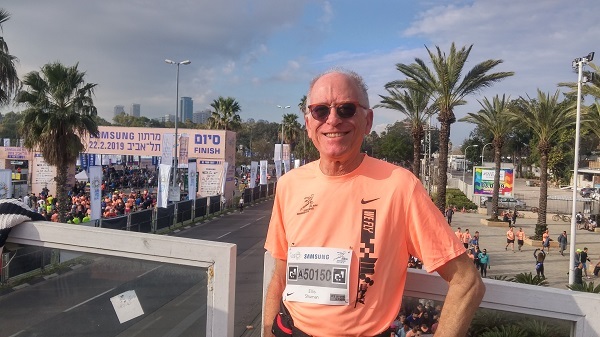 When I started exercising in earnest four years ago, I never imagined that one day I would be running the 10 Kilometer race in the Tel Aviv Marathon. In fact, back then I could barely walk 5 kilometers on a treadmill. A ten-kilometer race? It was unimaginable at the time and I can’t believe it now. Last week I shocked my family and friends, and more importantly myself, when I finished the race’s course in a very respectable 62 minutes. I placed 99th in my age category (out of 252 runners) and in 6,346th place out of 14,227 runners of all ages in total. I have run faster 10-kilometers on a treadmill but this was the first time I had ever participated in a race of any kind. Reflections on the 21st century, and how it took me so long to get here. Podcasts have been around since 2003 but I only discovered them last year. 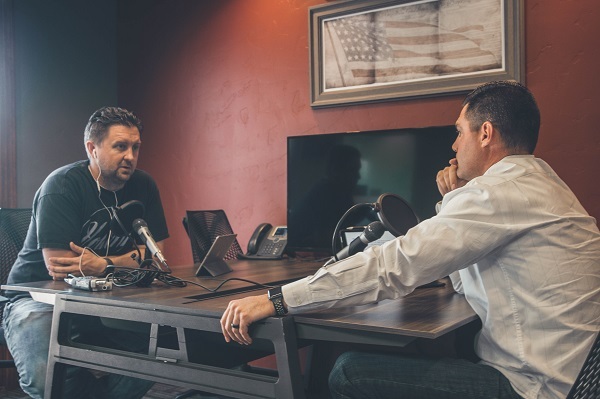 Podcasts, if you’re not familiar with them, are primarily an episodic series of audio shows that can be downloaded for listening. Until last year I didn’t realize that I had a lot of spare time for listening. Now I listen to podcasts every morning as I drive to the train station and every evening as I drive home. Yesterday, for example, I listened to podcasts about coral reefs, noise pollution, and how diseases could be detected at a very early stage with breath analysis. In recent weeks I have listened to podcasts explaining gravity, suggesting theories where the moon came from, and exposing the dangers of artificial intelligence. In other words, I have expanded my scientific knowledge. But I also listen to podcasts purely for amusement. Like this morning’s podcast questioning whether the Loch Ness Monster is real. Or a podcast on the history of Ping Pong. And one asking the very important question - who invented lemonade? It was on a surprisingly warm January day in 2009 when my flight landed at Sofia International Airport. It was on a freezing, snowy day just three weeks later that Jodie joined me in the Bulgarian capital. We were at the start of my job’s two-year relocation from Tel Aviv to Sofia. Our Bulgarian adventure had begun. During those two years we traveled extensively around the country. We learned about Bulgaria's history and culture, we visited its villages, enjoyed its cuisine, and climbed its mountains. We studied the Bulgarian language (although we never learned to speak it), and made many friends. Living in Bulgaria was for us a life-changing experience. As a couple, we had never previously lived outside Israel. We had never lived, for that matter, in a city. It wasn’t all that easy, living away from our family. But, those two years did open our eyes to so many things. We look back fondly at that period knowing that we took full advantage of the once-in-a-lifetime opportunity we had to live in such a fascinating place.